‘Age before beauty’ – one can take this as a compliment, a jibe or as an insult. It really depends on the person. In fact, more and more people on their elderly years are taking advantage of the benefits that cosmetic surgery has to offer. More and more seniors are going for it in droves and that, in and of itself, has made the industry that much more diverse because now even at a very young age, a lot of people who opt to undergo cosmetic surgery. The numbers can tell after all. The American Society for Aesthetic Plastic Surgery released these figures for the year 2010: “84,685 surgical procedures among patients age 65 and older. They include 26,635 face-lifts; 24,783 cosmetic eyelid operations; 6,469 liposuctions; 5,874 breast reductions; 3,875 forehead lifts; 3,339 breast lifts and 2,414 breast augmentations.” And the number keeps on rising as more and more people join the ranks of the elderly. That is because the number of seniors who are undergoing these kinds of cosmetic procedures are on the rise. While the average rate is a little over 65% across the board, for seniors, the acceptance rate is a little over 77%. The reasons abound. Just because one is 80 that does not mean one should look 80 years, too. For many of them, Cosmetic Surgery in Sydney is a way to turn back the age clock to match how they are feeling inside, not how their life age says they should be. An 83-year old woman who had been interviewed by newspapers and TV news stations has had breast lifts and breast implants done to her. Her surgical procedures have all been successful and that has been true for the elderly who have undergone similar procedures. However, there are those who say that the risks are a lot more dangerous for elderly patients than for those 20 or even 30 years younger. That is because the health of a senior is way different than those in their 30’s and 40’s. The latter just doesn’t have the same health issues that the former has like high blood pressure and the like. Medication can also be an issue. A lot of people in their 60s up take medical maintenance which have a drastic effect on the surgery and it may pose a complication that could make things harder not just during the Cosmetic Surgery in Sydney but also during the recovery period. Taking them off for a while can help but then there is the problem of how that will affect the health of the patient. There is no denying that anyone who wants to undergo Cosmetic Surgery can get as they please provided that they are in excellent health condition. 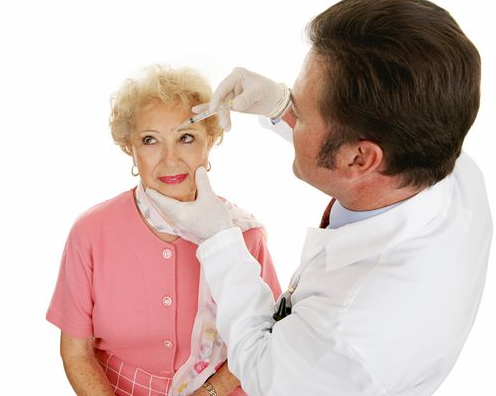 For the elderly, the answer so far has been that there is nothing wrong with having cosmetic surgery done especially if the patient is still in sound health.